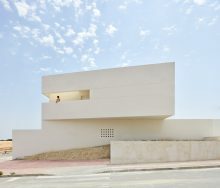 Mirasal Housing in Torrevieja, Spain. Pilot flat. Project by Balzar Arquitectos and Julia Alcocer. Year 2018.